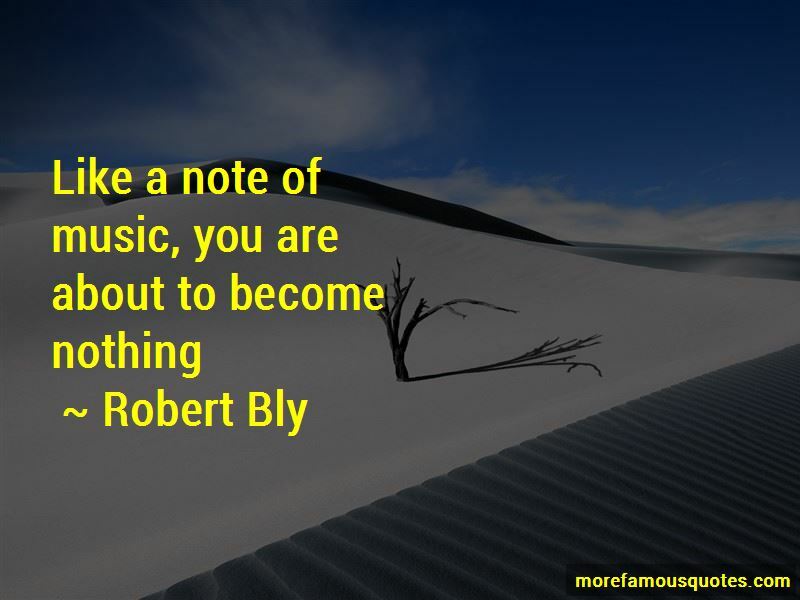 Enjoy the top 96 famous quotes, sayings and quotations by Robert Bly. To give light, but to testify to the night. I know men who are healthier at fifty than they've ever been before, because a lot of their fear is gone. It seems you've traveled years to get here. Or maybe it was confusion. But that's over. Hair is intuition. Hair is the abundance of perceptions, insights, thoughts, resentments, images, fantasies waiting and ready to come out whenever we are thinking of something else. This resembles the slow discipline of art: it's the work that Rembrandt did, that Picasso and Yeats and Rilke and Bach did. Bucket work implies much more discipline than most men realize. Now how heaven and earth can appear in a poem. Contemporary man looks down into his psyche, he may, if conditions are right, find under the water of his soul, lying in an area no one has visited for a long time, an ancient hairy man. Where a man's wound is, that is where his genius will be. When anyone seriously pursues an art - painting, poetry, sculpture, composing - over twenty or thirty years, the sustained discipline carries the artist down to the countryside of grief, and that descent, resisted so long proves invigorating ... As I've gotten older, I find I am able to be nourished more by sorrow and to distinguish it from depression. The language you use for your poems should be the language you use with your friends. Rumi is astounding, fertile, abundant, almost more an excitable library of poetry than a person. Male initiation does not move toward machoism; on the contrary, it moves toward achieving a cultivated heart before we die. The best presenters have conversations with their audiences. 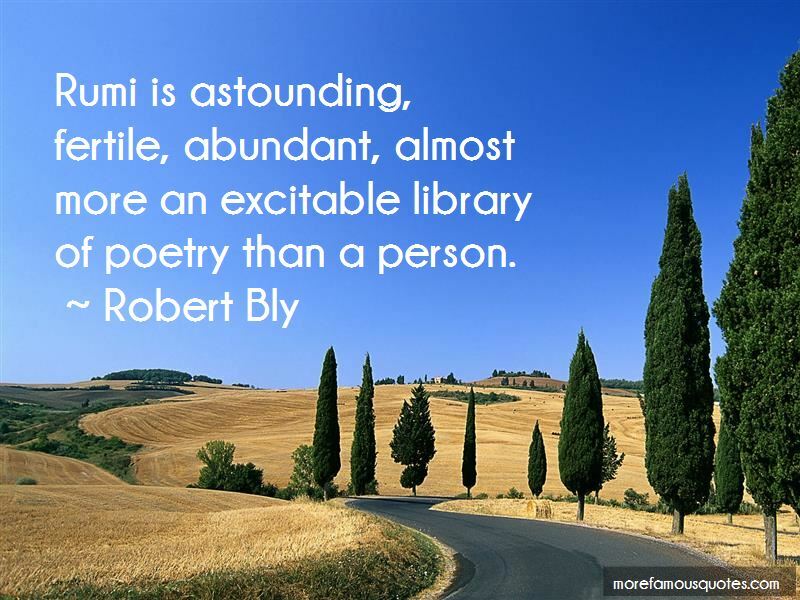 Want to see more pictures of Robert Bly quotes? 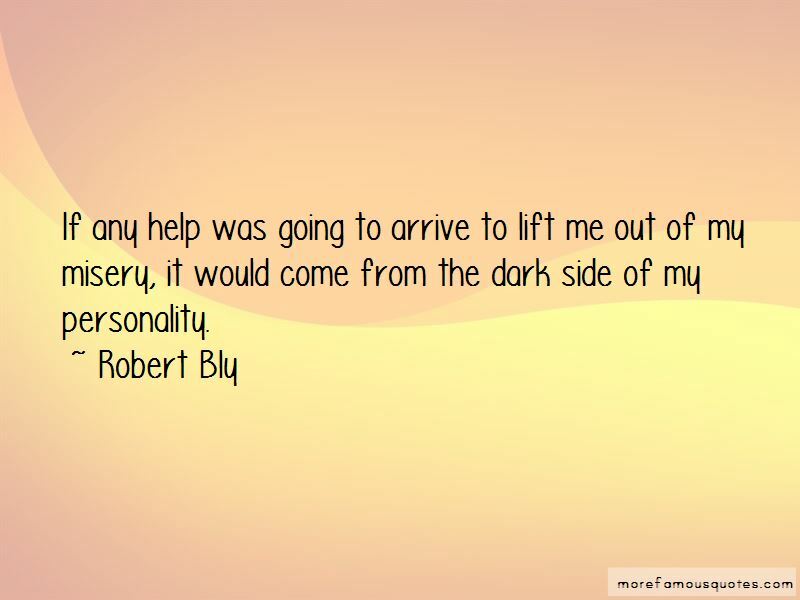 Click on image of Robert Bly quotes to view full size.